Accessorize: We found deals on belts, a garden look, homemade aprons and vintage frames. 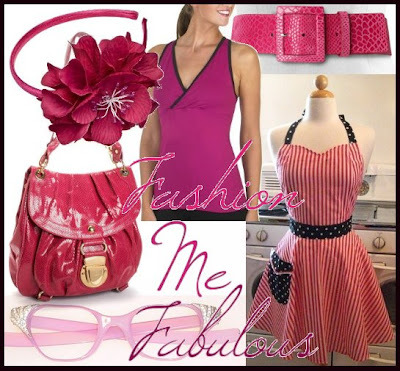 Most of all, we want pink accessories. Take Care Of Yourself: Clean out your old makeup. Get some exercise attire. Buy comfy sandals for summer vacation. Save some coin by trading clothes. Er...yum! Love that candy stripe dress - a fabulous fashion find!